teamTALK are exclusively claiming that Liverpool have signed young Nigerian striker Taiwo Awoniyi to a five-year deal, while agreeing a two-year loan spell for him at AS Monaco! They say that the 20-year-old was being heavily targeted by Barcelona and Inter Milan, but decided to stay at Liverpool. Awoniyi arrived at Melwood in 2015, but has not made an appearance for the first-team due to work-permit issues and has spent time on loan at FSV Frankfurt, NEC Nijmegen and Mouscron. In Belgium in 2017/18, he enjoyed his most prolific campaign, notching ten times and registering plenty of assists as well. The reason we’re excited about this is because Monaco develop talent as well as any other club on the planet. 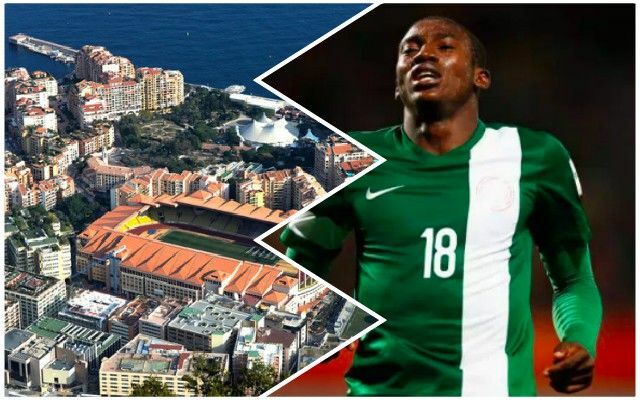 In recent years, the likes of Kylian Mbappe, Bernardo Silva, Fabinho, Benjamin Mendy, Tiemouye Bakoyoko and others have all developed in the French principality and left for enormous profit – and we hope Awoniyi can make similarly large strides. To be honest, we didn’t have too much hope for the forward, but if the likes of Barca and Inter were trying to sign him – and AS Monaco have agreed to train him for two years – there must be something in his game that’s got Europe’s biggest clubs paying attention.